Glamping is the modern day solution for women who want to experience the ancient call of the desert but in comfort! We will embark on a journey to the desert and spend two nights glamping in upscale tents. Our meals will be cooked by women in a nearby Berber village and brought in daily. We will dine on a communal table in shaded areas during the day and under the stars and by candles at night. We have the opportunity to start our day off right with morning yoga, followed by riding camels. We will get adventurous with a quad bike ride through the desert, trekking through the Atlas Mountains and lunch in a Berber village. In the evening we will gaze at the stars at night under the guidance of an astrologer, play board games, and just rest and relax! The beauty and calmness of the desert is an experience not to be missed! An essential part of our cultural experience of visiting Marrakech is a visit to a traditional Moroccan hammam (spa). This ritual dates back thousands of years and it is one that you will not want to miss. We will be getting 90-minute treatments at a 5-star spa. 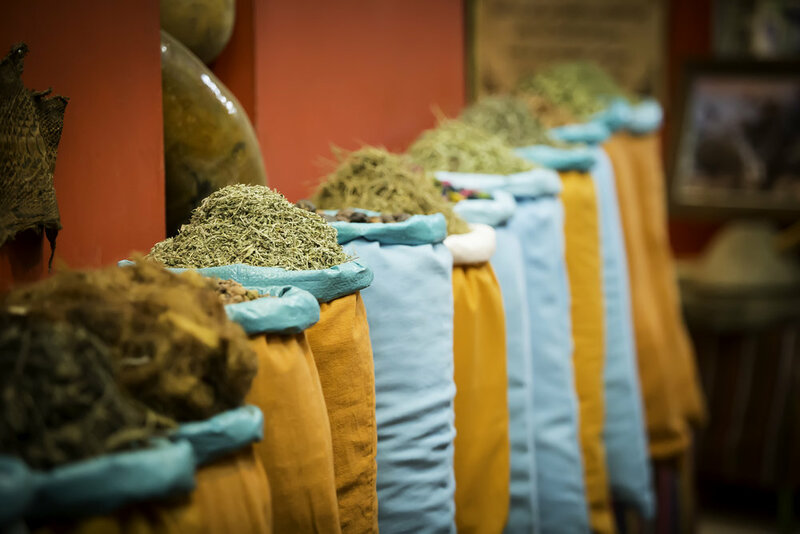 The traditional hammam massage includes a body scrub and a massage that is unlike any other due to the unusual ingredients and the different components of the ritual. You will come away feeling very clean, relaxed and refreshed. 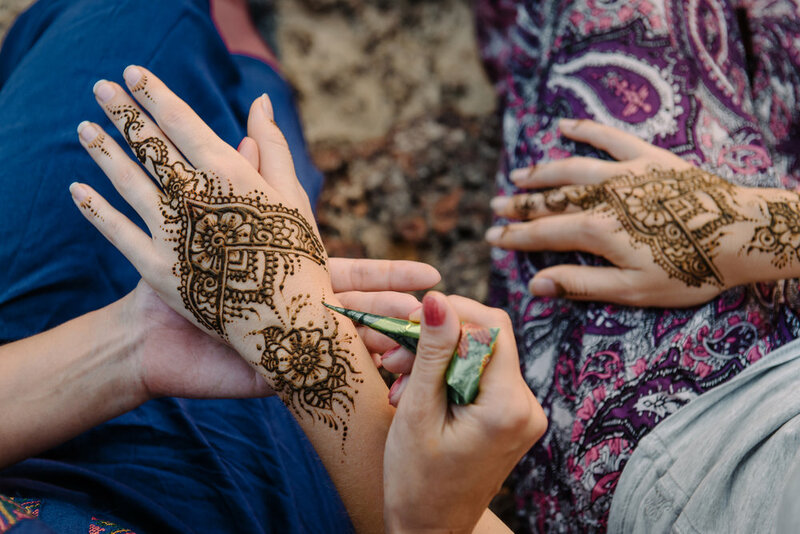 Henna gatherings are common in the Middle East and often given for special occasions. A henna tattoo artist will join us for you to partake in this traditional custom that Middle Eastern women have enjoyed for centuries. 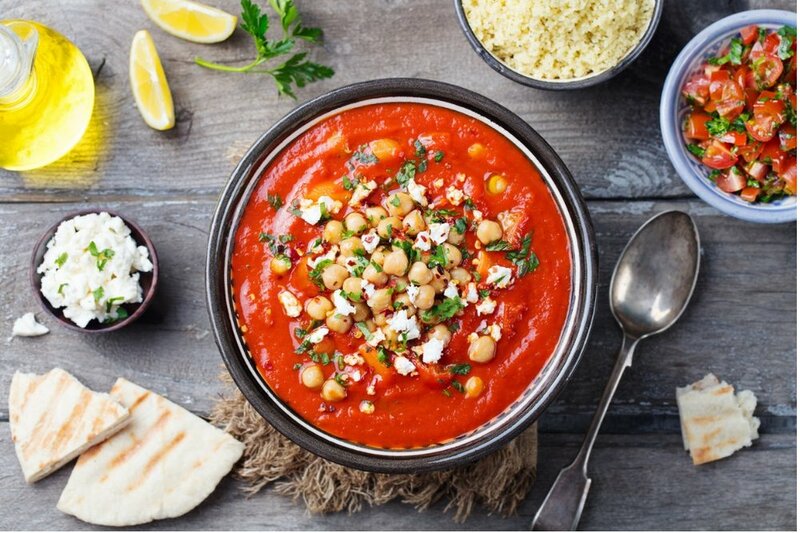 We will also embark on a culinary experience by engaging in the preparations of the traditional dishes of Morocco with local women during a cooking class. Shopping, not to be forgotten, will be an important activity on this trip as the souks contain a vast array of perfumes, spices, clothing, Moroccan shoes, caftans, baskets, antiques, handcrafted goods and fabrics. We will have the opportunity to discover this wondrous array of wares using both a famous celebrity guide as well through our own individual wanderings. We will take part in an hour and a half long sidecar tour of Marrakech. In addition, there will be a special activity with local women that will be revealed upon arrival. To uncover some of the vast secrets of the city and discover the rich history, we will use a private tour guide to visit significant sites such as the Bahia Palace. Outside of the walls of the medina, we will take the time to savor the Majorelle Gardens by Yves Saint-Laurent which houses the intricate displays of the Berber Museum. We will also peruse through the Museum of Women and explore how Moroccan women have had a leading role in the history of the country. We are particularly concerned about the status of women in the communities that we visit. We make every effort to do business with women-owned establishments, hire female guides, locate female artisans and engage with women who are supporting and encouraging the improvement of women in their community. Each trip is unique in that we offer one or more activities with local women who are making a significant difference in their community. Sometimes these activities involve visiting women-run cooperatives, shopping for artisan wares crafted by females, visiting museums dedicated to women, and meeting with local women. These activities are designed to make us aware of women in other cultures, how they live and their struggles to be heard and to become successful in their country. These encounters can have a significant impact on both groups of females. The details of these activities are shared upon arrival. Marrakech, also known as The Red City due to the buildings made of red clay, was founded in 1062 and is surrounded by 12th century walls. Enter inside the walls of this ancient city and you will discover a gateway to an age-old culture. Prepare for an intoxicating assault on the senses with startling contrasts of colors, mixed aromas of musky perfumes and incense, languages peppered with Arabic, Berber and French and tasty foods influenced by the vast variety of spices from the Far East. The atmosphere is teeming with humanity and the best way to enjoy the experience is to embrace it. Marrakech is one of our most exotic destinations that we offer and we would like to share this with you by introducing you to our favorite places. Tami has lived in the Middle East for over a decade and Latifah was raised there in her youth and returns to various parts of the Middle East every year. In addition, Latifah speaks Arabic fluently. We have visited Marrakech many times and we love it! Come and experience Marrakech with us- it is a destination like no other! We will be residing inside the walls of the traditional medina (town) so that you can immerse yourself in the culture. Our riad, a traditional Moroccan house with an inner courtyard, will provide an easy launching point for us to explore the winding labyrinth of passageways and alleys that constitute the souk (markets). At the end of a day of discovery, the riad will also provide a tranquil retreat from the chaotic rhythm of the medina. You will be staying only a short walk from Jemma el-Fnaa, a UNESCO World Heritage Site, often referred to as an open-air theater due to the musicians, snake charmers, belly dancers, storytellers and a variety of other characters who fill the square in the evenings creating a scene from One Thousand and One Nights. The riad where we will be staying at for four nights is located within the walls of the old medina. The interior design is quite stunning and we have reserved the entire riad for our group's private use. The rooftop terrace provides the ideal setting for breakfast, relaxation and sunsets! The courtyard swimming pool, living room and reading nook are also amazing places to unwind. The staff at the riad offer attentive and low-key service at all times. Laundry is available on request for a separate fee. After two nights glamping in the desert, we will spend our last night at another boutique riad within the walls of the medina. ** All travelers will share a room with another traveler. We will be spending two nights glamping in upscale tents. All tents have an attached private bathroom facility and desert-type shower and you will have the option of sharing a tent sleeping in twin beds or sleeping solo in your own tent. Please note that wifi is not available at this camp as we are in a remote area. We will be 'roughing' it a little but when we return to Marrakech we will indulge in hammam scrubs and treatments which will wash away the desert sand! We offer you details on booking your flight to Marrakech. For your convenience, payment policies & cancellation is provided for your trip.